← What is a master? My Dressage mentors were very good at creating exercises for humans that helped to illustrate the physical or mental challenges the horse goes through in their training and development. I recall many hours in the study room, with people struggling to perform – getting some small sense of what it’s like for their horses. I can’t testify for the others, but I always found these exercises enlightening, and I have used them with my students throughout the years. Today I shared one in a Facebook post, and that inspired me to share a couple of them here, where I have a bit more space to explain. Feet wide, knees bent … facial expression optional! 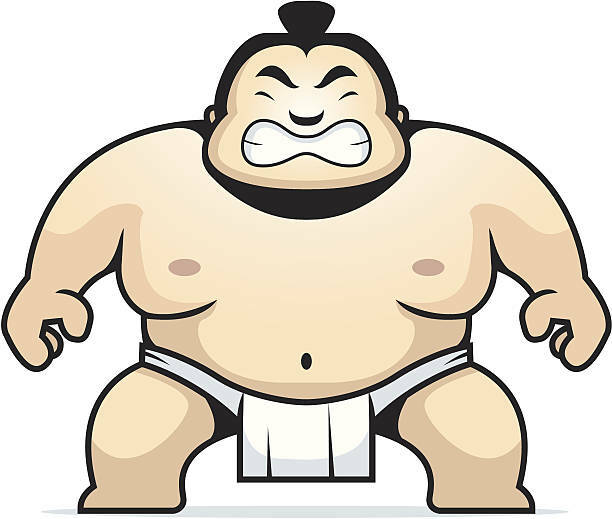 How it works: One person takes the stance of a Sumo wrestler – feet planted wide, knees bent, back straight. Try to take a step, without losing the general stance – easy or hard? How easily can you turn? While the first person holds the stance, the second person now attempts to push them over (be firm, but not rough). Note how much you must push to get the “wrestler” to have to move a foot (i.e., get off balance). 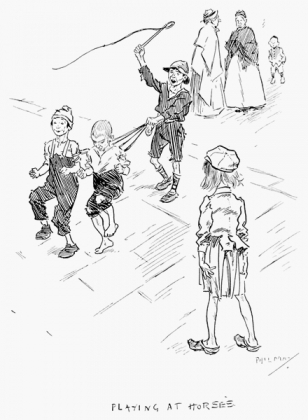 Next, the “wrestler” becomes a “gymnast” balanced on a beam – one foot in front of the other. Note the different feel in your posture, muscles, and balance. Try moving and turning while maintaining this posture – easier or harder than the wrestler? The second person again tries to push the “gymnast” off balance. Is it easier or harder? Now consider these questions: Would a “Sumo” horse be easier to influence? Or would the “gymnast” horse? Based upon how easy or hard it was to move in the different stances, which type of balance is closer to the goals of Dressage? Asked another way, which would be easier to dance in? The exercise is intentionally extreme, but you can play with different stances and types of balance to see the differences. The general idea is that an untouched horse will have a balance closer to the “Sumo” in daily life; but proper training (or a coyote in the field next door) brings them closer to the balance of the gymnast. How it works: Starting from a standing position, take several steps in your normal stride. As you do, try to feel your joints flexing and straightening, and how each foot feels when it lands. Now, back to a standing position, take several steps making them as long as you possibly can. How did the feeling in your joints change? Did you land more softly with each step? Or with more impact? 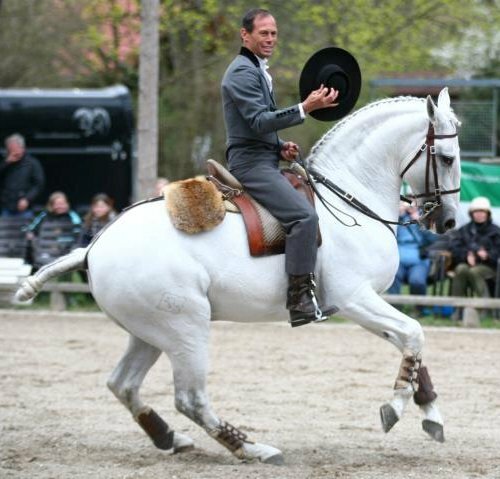 Thinking of the way we want to develop our horse’s balance, carriage, and foot falls in Dressage – which of your strides would be more conducive to early development? Oxidado, Pedro Torres’ Working Equitation champion, clearly showing the flexion of the hind legs as he goes into canter pirouette. Now collect: The key element of correct collection is that the hind leg joints, particularly the hip and stifle, take on more of a flexed state, in order to lighten the steps of the front legs. So, “collect” yourself by flexing all of your leg joints while standing – hip, knee and ankle. Start with just enough flexion that you feel the bend in those joints. Now, trying taking steps while retaining some of the flexion in each “landed” leg – in other words, do not fully straighten either leg at any time. How does that effect your stride length? What about your balance? Are your steps landing harder or softer than in your previous attempts? How do the joints feel? Where is the “strain” you feel with each step – in the joints themselves? Or in the larger muscles that support those joints? How does all of that change if you try it with the joints further flexed? Try alternating strides between the very long steps, with straighter legs, and the “collected” steps with flexed joints. As you do, it should become clearer how the difference between riding overly forward versus riding collected affects the horse – particularly the joints. This latter exercise is the one that I shared on Facebook, in answer to someone who was questioning whether a horse who was not tracking into their front hoof prints, with their hind feet, could possibly be collected. Once you have tried the exercise, see if you can answer that question yourself. I hope you find these both fun and enlightening. I will share more, as they come to me. As I said, my mentors (one in particular) seemed to get great enjoyment out of inventing ways to make us all act like horses – but it worked! This entry was posted in Horsemanship, Just For Fun and tagged balance and posture in the horse, Dressage training, ground exercises for riders, learning tools for the rider, parlor games, understanding collection, understanding horses. Bookmark the permalink.